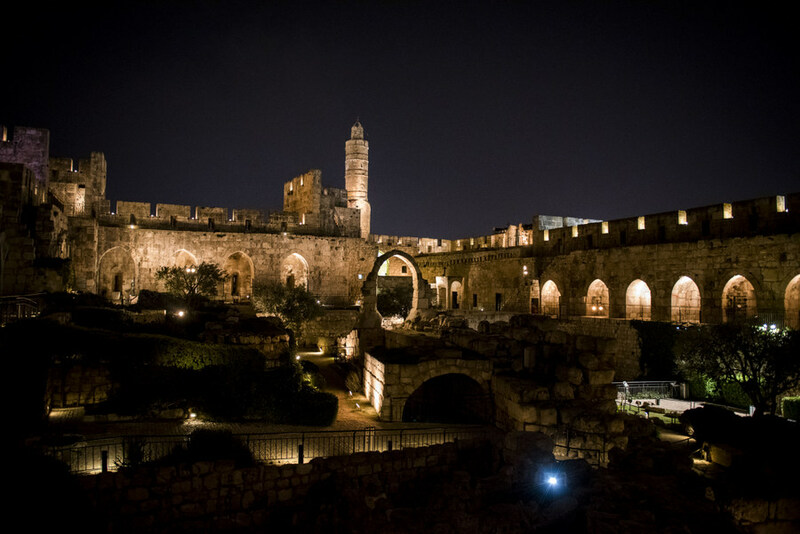 Two things struck me about the Tower of David Museum, situated near the Old City of Jerusalem’s Jaffa Gate. Firstly: the building is the artefact. Most museums I’ve visited are modern buildings with ancient artefacts and modern exhibits inside. 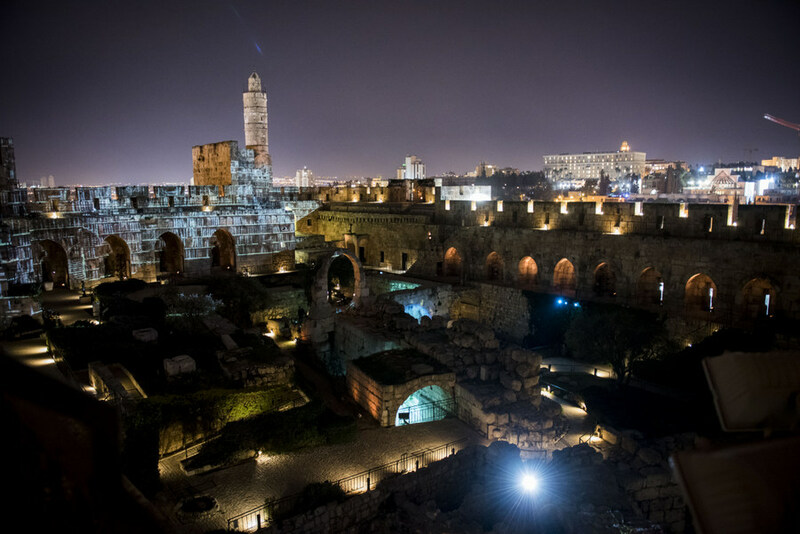 On the other hand, the Tower of David Museum is a medieval fortress, and inside you can explore the fascinating and complex history of Jerusalem through time capsule rooms filled with interactive displays. We’ve worked hard to make the building and museum accessible. No matter what kids you’ve got here, they can really touch the models and they can touch the stones. You can say to a child, ‘That stone is 2,000 year old. 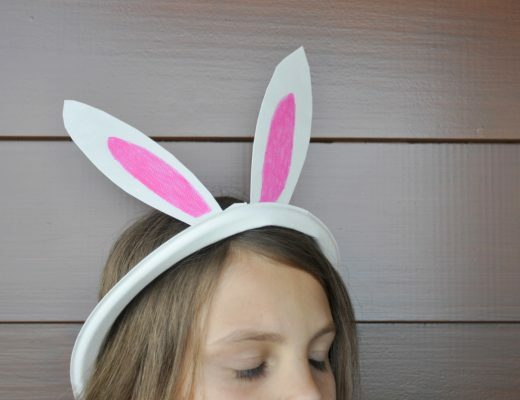 Or 500 years ago…Or this is from time time period.’ It’s very exciting for kids to really go back in time physically, and touch these parts of history. 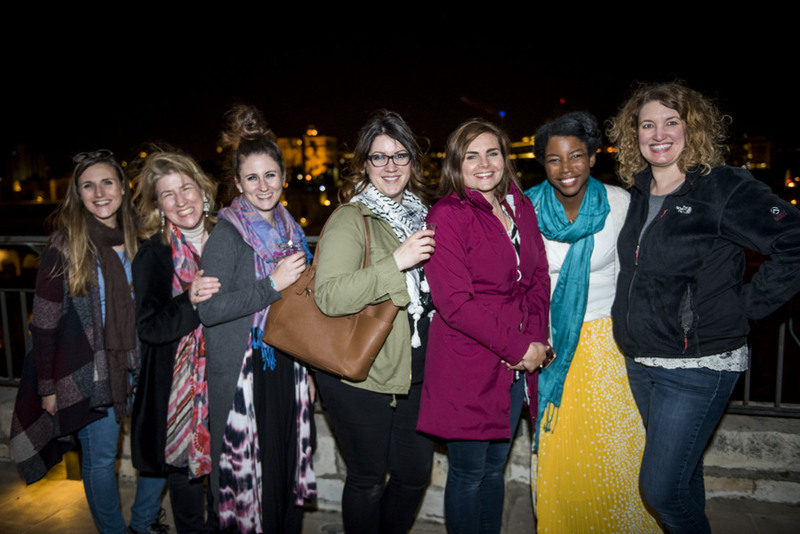 I loved hearing about Caroline’s passion for people, history and the incredible city of Jerusalem on our guided tour. 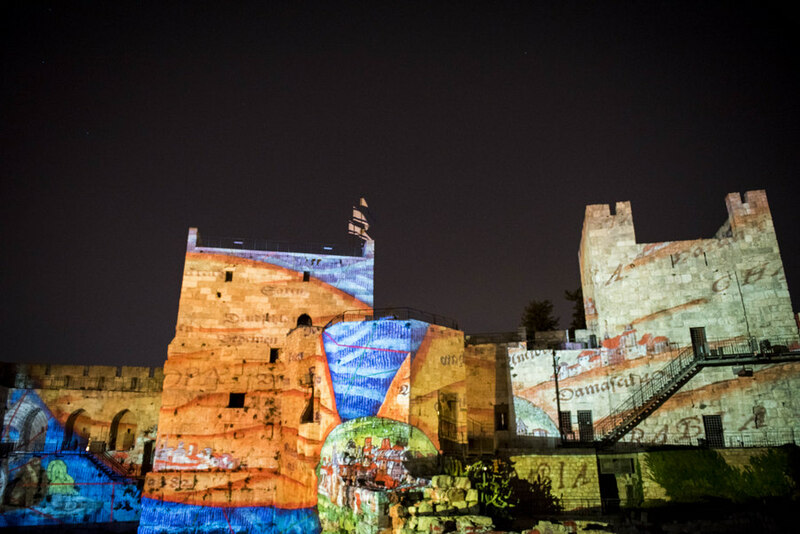 Before my evening visit to the museum, I walked around the Old City and was blown away by the beauty and complexity; it left me hungry to know, and to understand more about the history and influences. Below is a Instagram snippet of my thoughts at the time. A visit to the museum is an imperative and complimentary part of exploring the city. 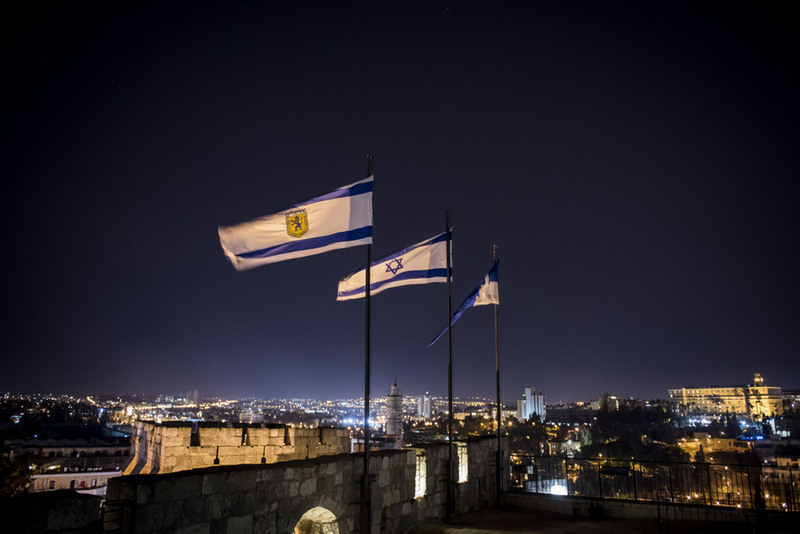 You see, the aim of the exhibits is to present a very clear and approachable way to learn about the history of Jerusalem. 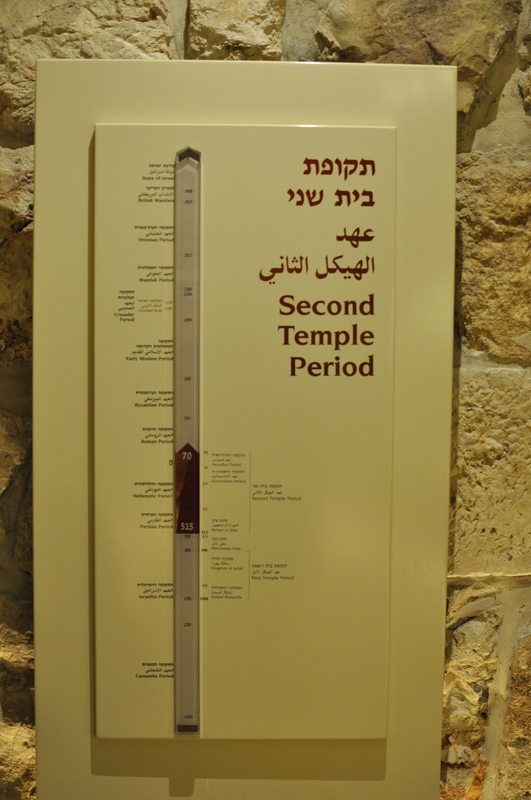 Jerusalem is a city of layers representing thousands of years and different communities, and this is broken down into rooms dedicated to various time periods that tell the story. The history in each room is portrayed in interesting and easy-to-digest ways. Yet, there is also a lot of detail, so I believe the exhibits cater well for different ages and varying interest levels. 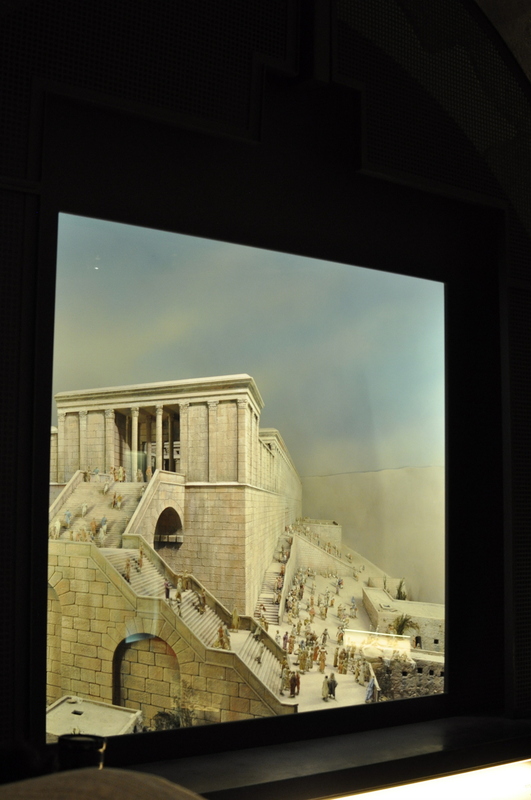 The story of Jerusalem is told with timelines, artefact replicas, images, complex 3D models, pioneering digital technology, and many other forms. Below is a list of the permanent exhibits, and there are also special exhibits each year; read more about the current and future exhibits here. 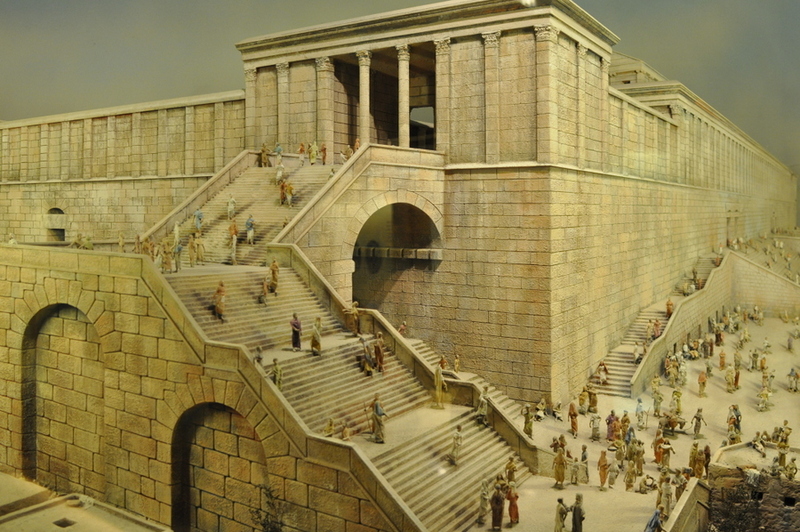 Amazing 3D model of Herod’s Temple Mount. 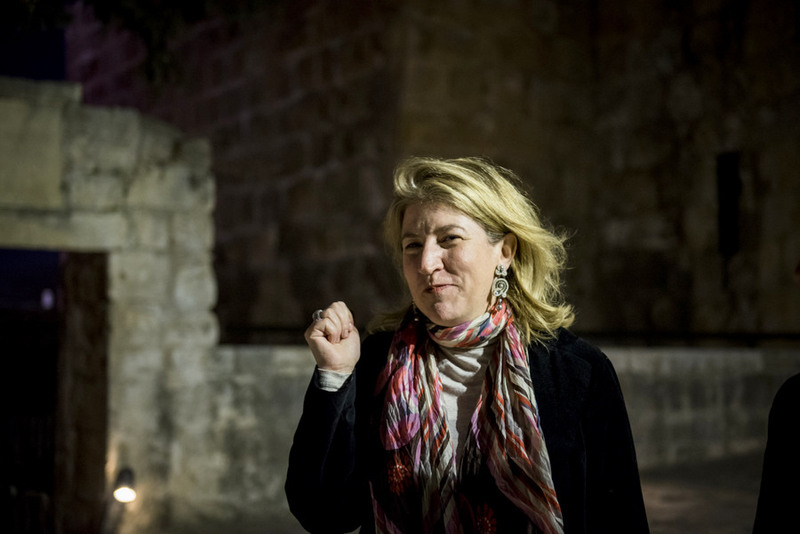 I’ve included a section of transcript from Caroline, originally from the UK and now living in Jerusalem, as she guided our group in the First Temple Period Room (1006 BCE). I enjoyed how she wove relatable narratives into the explanations. I could have listened to her all day! Jerusalem expanded and the Assyrians were on the way for war. 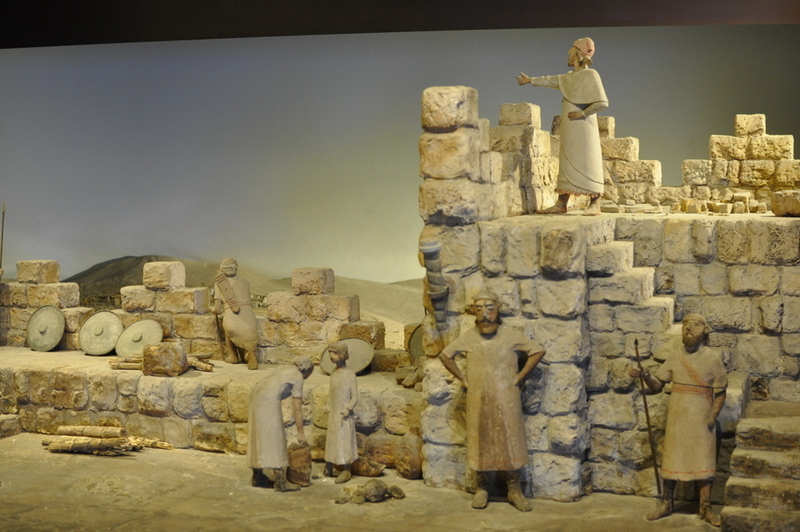 The king at the time, King Hezekiah, knew that the only way to save the city, was to not just defend it with walls, but with water. The water source was outside the city and he needed to bring it inside. 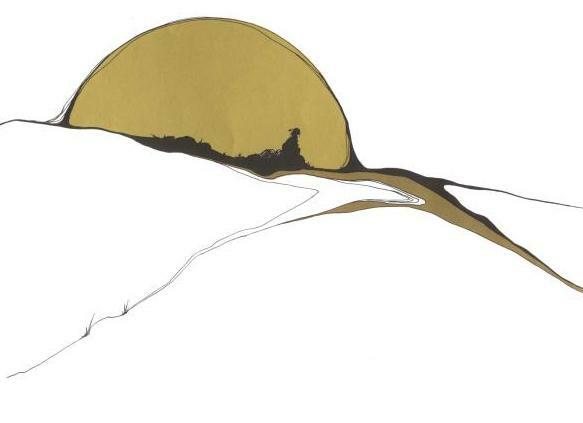 And what they did — 2,800 years ago — there were two teams that actually dug the tunnel, and they met. I’m originally from Manchester, England, and I always at this point think: gosh, when they built the tunnel, England and France completely missed, and yet 2,800 years ago, somehow, incredibly, they managed to meet, and they signed the wall, and dated it. From that point in time, we actually know therefore, what had happened and when they met. 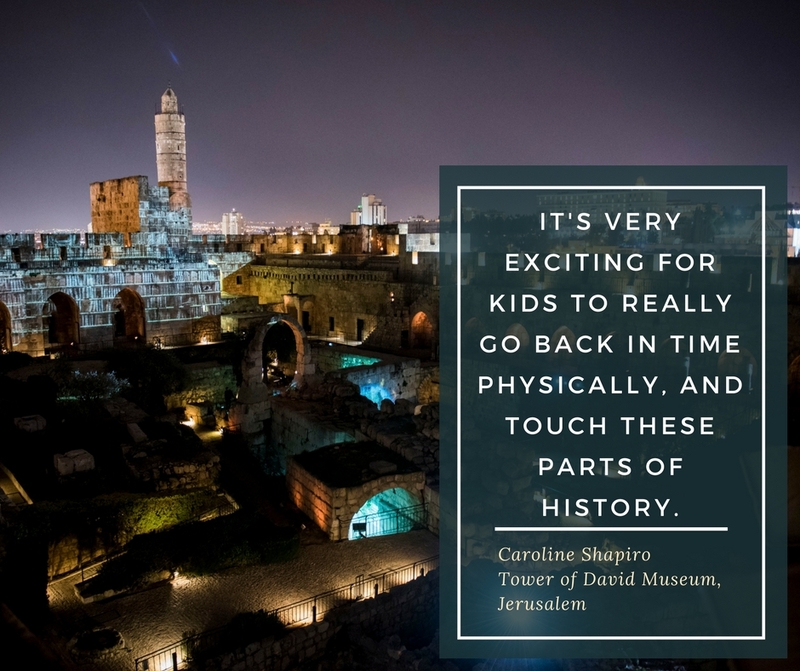 With reference to Tower of David Museum, that’s important because in excavations done fifteen years ago, they discovered a wall that dates back to that time period, and they checked the plaster — kind of the DNA of the carbon dating of the plaster — and it matched. 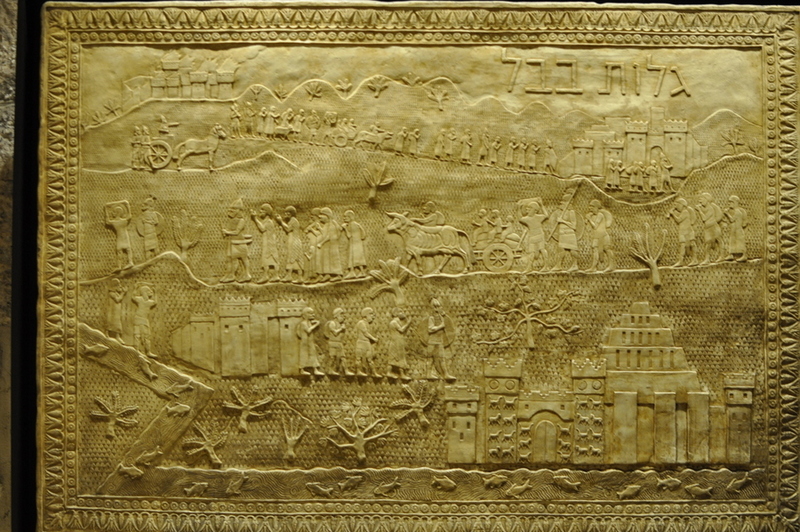 Below is a replica depicting the Jewish people after taken to Babylon as slaves (after the destruction of the first temple). The museum continues to be a preservation and conservation site, and there are still discoveries being made. For example, in November 2016, conservationists were doing regular work and saw something sticking out from one of the stones. Chief Conservation Officer, Oran Cohen, managed to remove the object and discovered a coin from the Hellenistic Greek period. 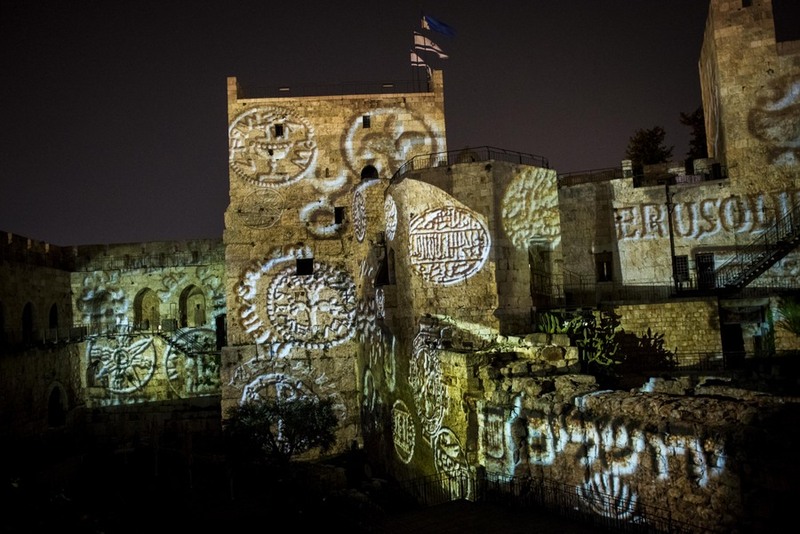 History is everywhere in Jerusalem! However, the city also has a wonderful modern vibe in the evening with bustling streets, busy restaurants and lighted lanes. 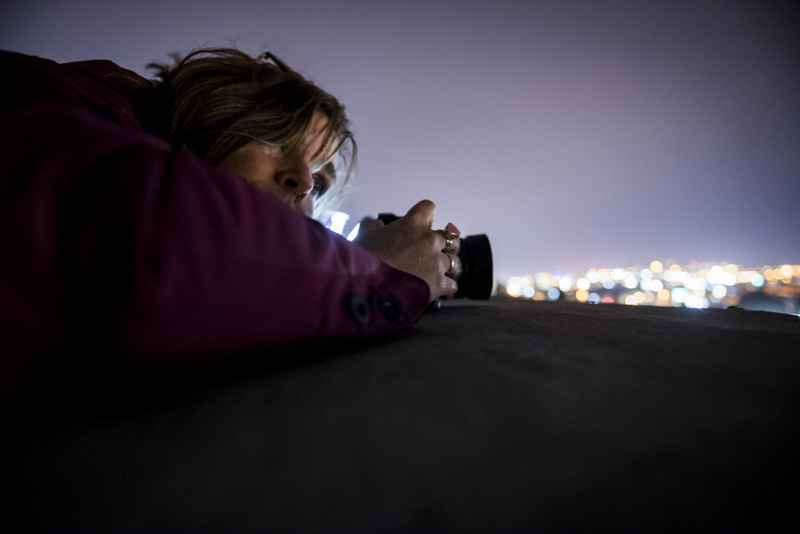 After exploring the city, we climbed the tower for an incredible 360 degree view over the entire city. A handy map showing a recommend route. 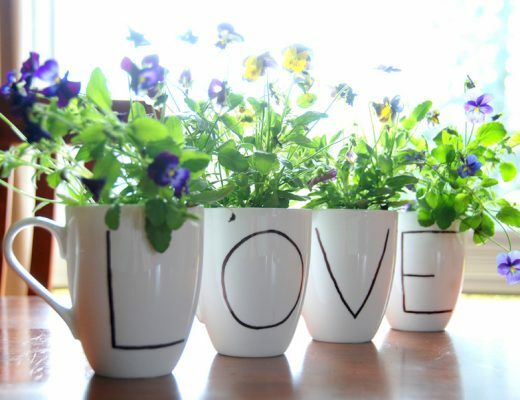 The image above is number 1. What a treat! 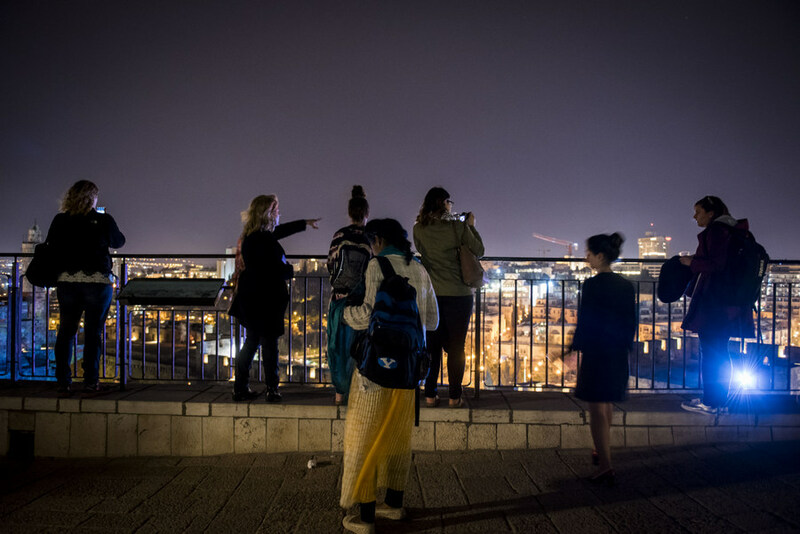 The best place in Jerusalem to view the city. You can see the Old City, the New City, Four Quarters, new neighborhoods, Mount of Olives, Mount Scopus, the Judean Desert and the Dead Sea in the distance on a clear day. The lighting was tough for me to handle due to my limited photography skills. However, I did manage to get one good shot (below)! Most of the evening images were taken by Sharni Sadicario. 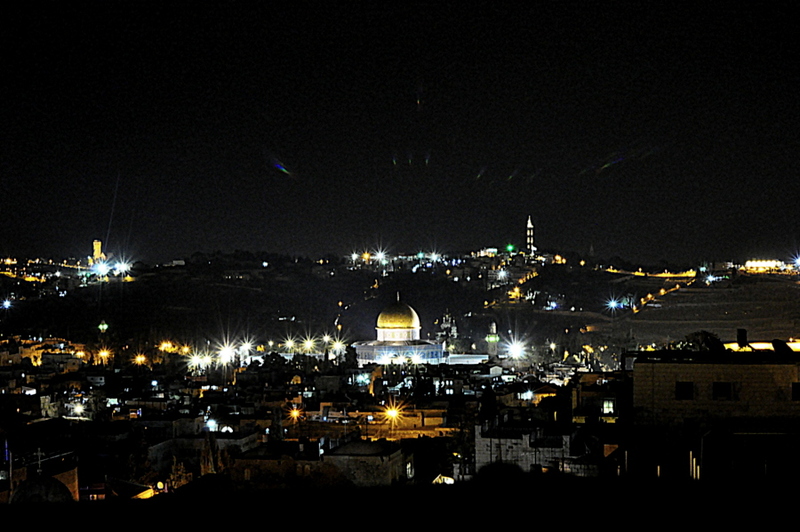 My photograph of Jerusalem at night overlooking the Dome of the Rock. 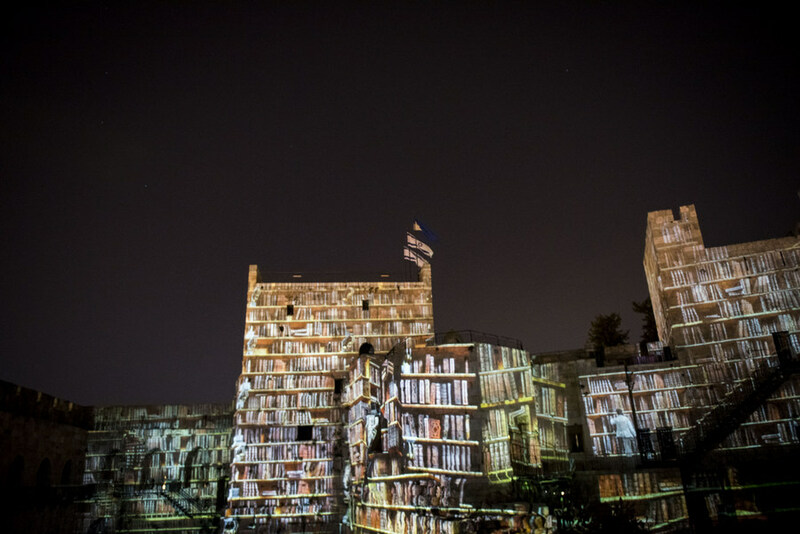 For a museum so rich in history, the Night Spectacular is nothing short of futuristic! What an absolutely incredible display of technology and storytelling. 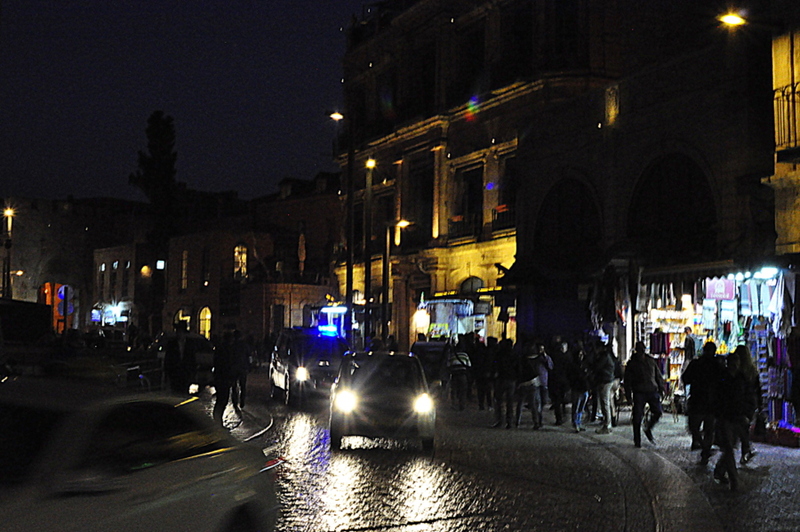 In fact, the light show is the only one of its kind in the world. 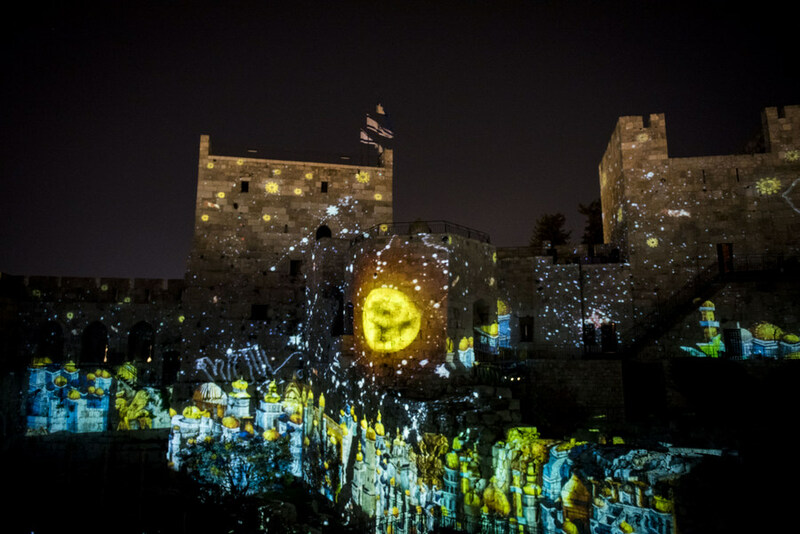 Using the citadel as a backdrop, intricate projections are used to tell the story of Jerusalem. 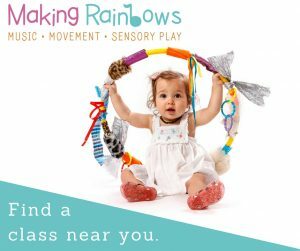 It is a celebration of sounds, music and breathtaking images. 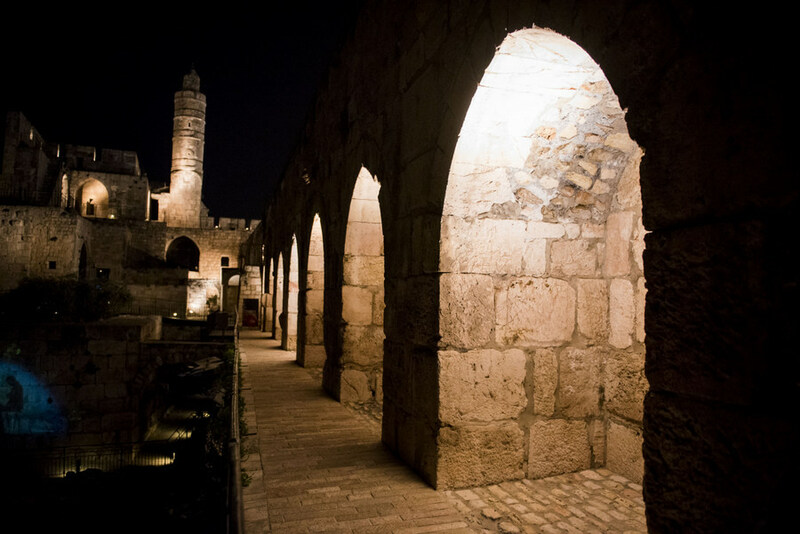 The Tower of David Museum is a wonderful place for families to visit. 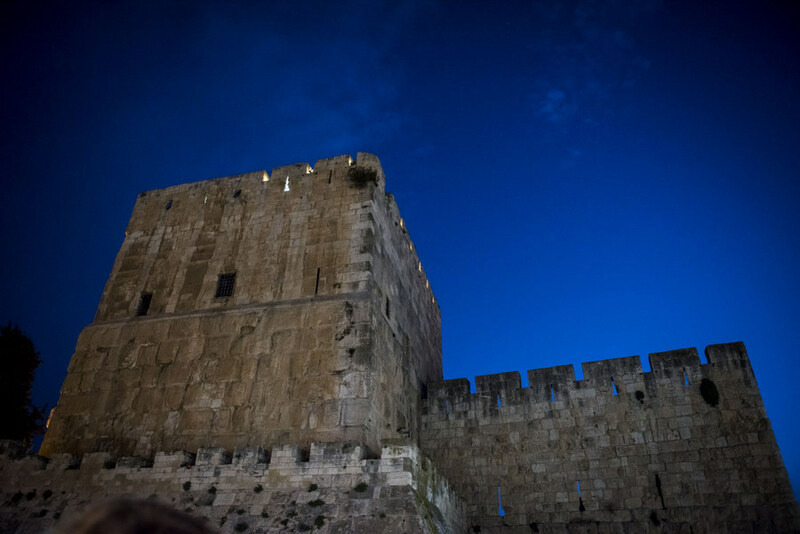 The citadel and the story it tells inside is an important key in unlocking Jerusalem’s intricate history.